Aliport Commercial were first contacted in February 2016 about this project. 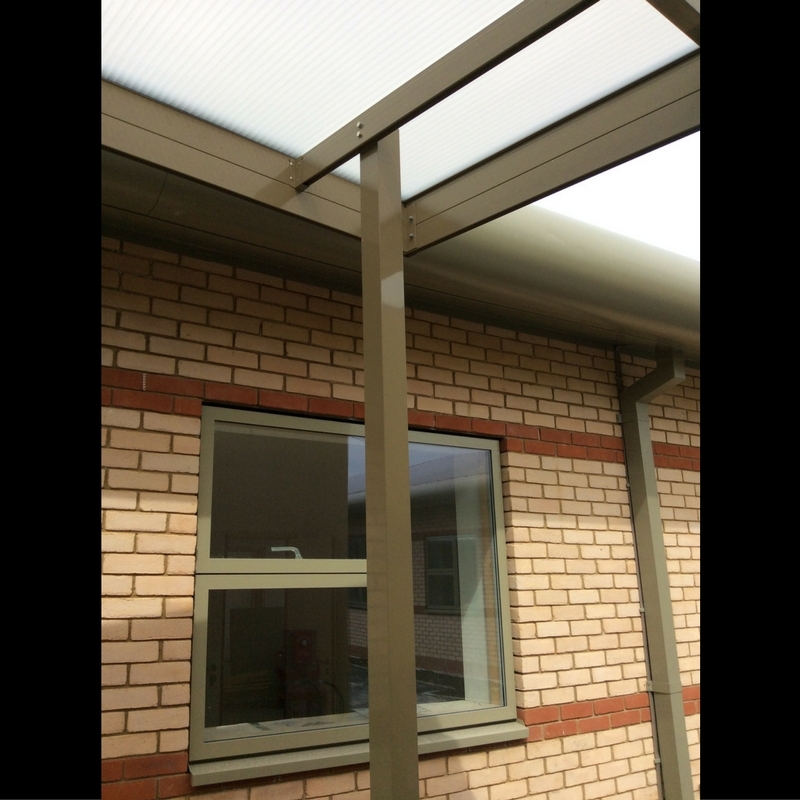 Bradstow required a Mono Canopy to act as a covered Linkway to the entrance of the building. 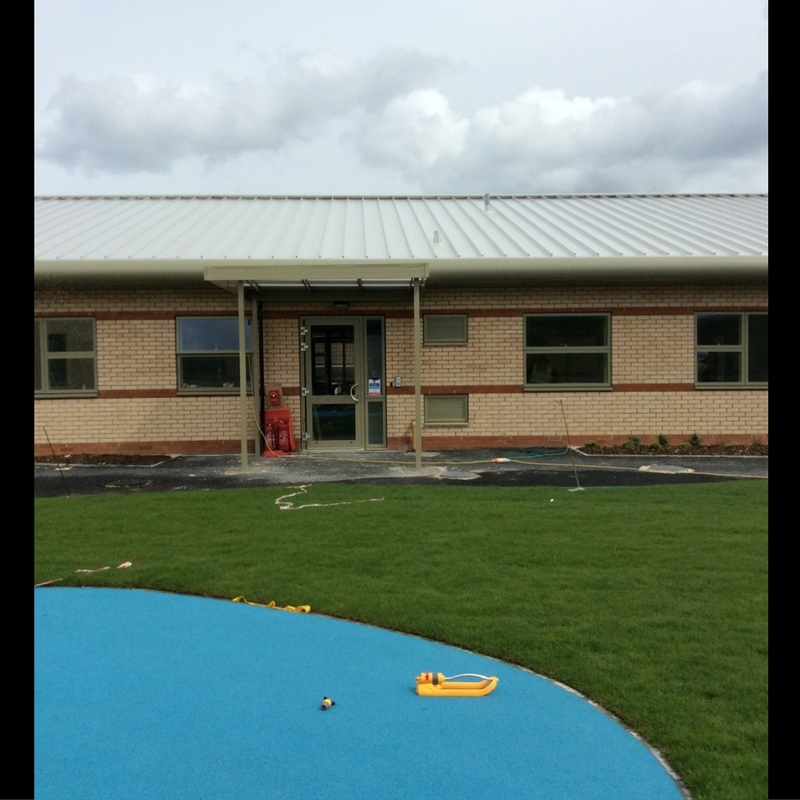 There was an existing colour scheme of the metal work across the site and Bradstow provided the RAL number to powder-coat the canopy Yellow / Grey. Aliport Commercial undertook two site visits to fully understand the project, measure up and produce the designs for the new canopy to be installed. 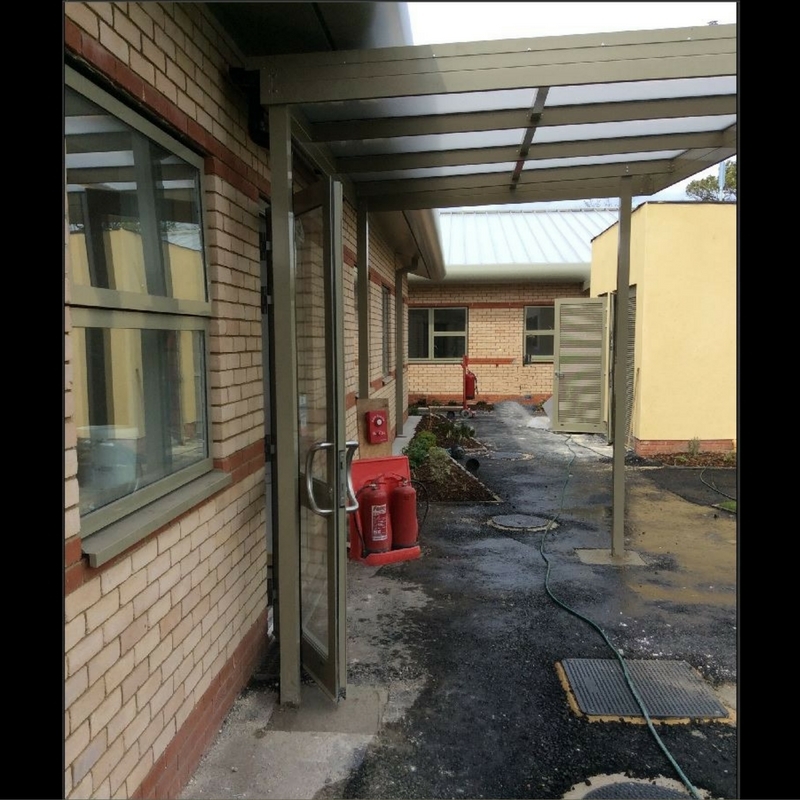 Some other general works were being undertaken across the site to tidy the entranceway so Aliport Fitters had to be conscious of these other works to ensure the safety of all on site. 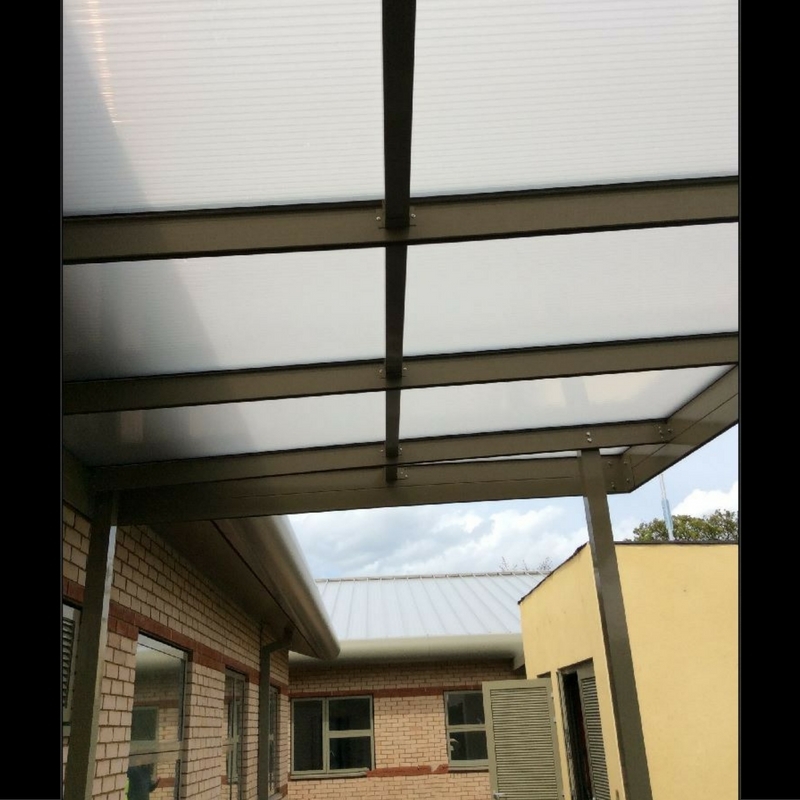 Aliport Commercial commenced works in April 2016 and over a 5 day duration installed the canopy. 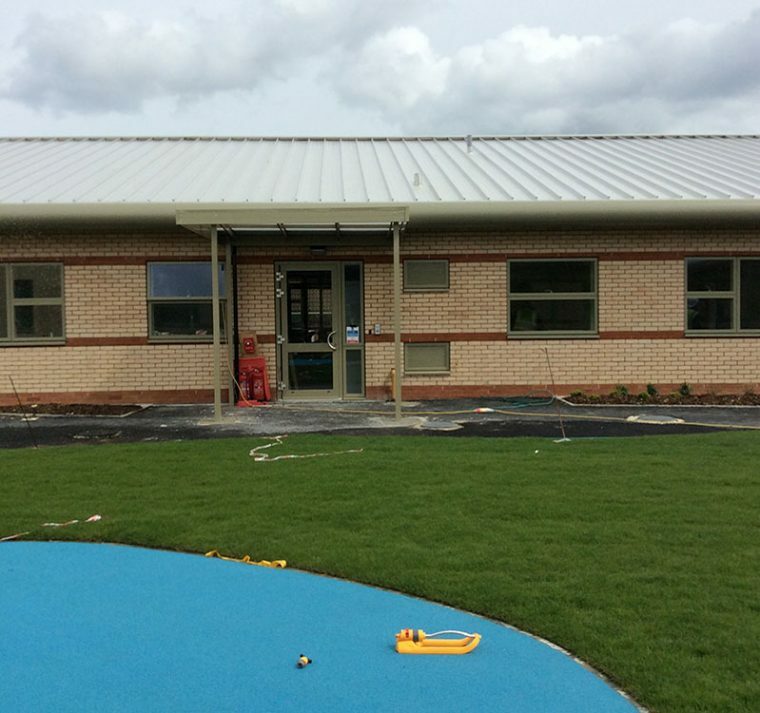 The Canopy has been powder-coated Yellow / Grey to match the metal work within the existing building. The installation was completed successfully and matches the existing building creating an attractive entranceway. 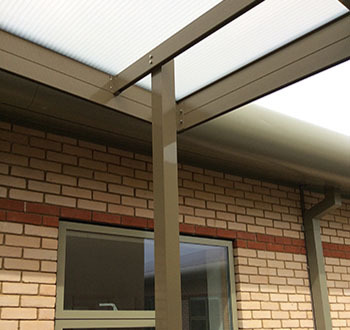 Mon Canopies are a versatile canopy that can be used for many applications including covered entranceways. . .